This page is no longer updated, we have a new contents page with more projects and information here. A list of common terms and abbreviations. Some general info on components and basic laws we use in the electrical/ mechanical side of windmills. 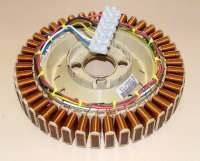 Based on a stepper motor from an old floppy disk drive, and takes about 30 minutes to make. 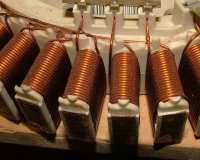 The Mini Mill will generate about 1-2 watts and charge a couple of Nicad batteries in a couple of hours. 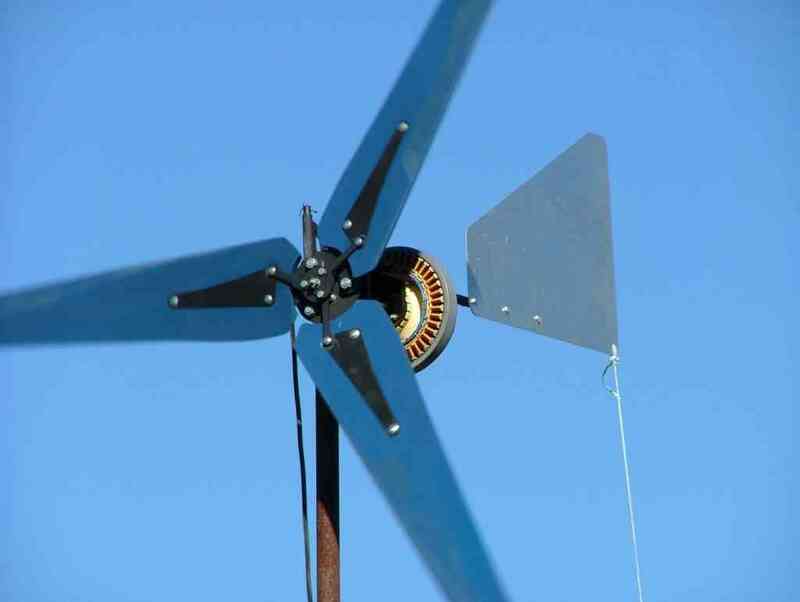 Using a F&P Smart Drive motor, this windmill is capable of producing up to 300 watts. 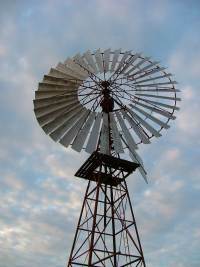 This new design replaces the windmill kit I sold. No longer supplied, I've left the instructions here as a reference for kit owners. 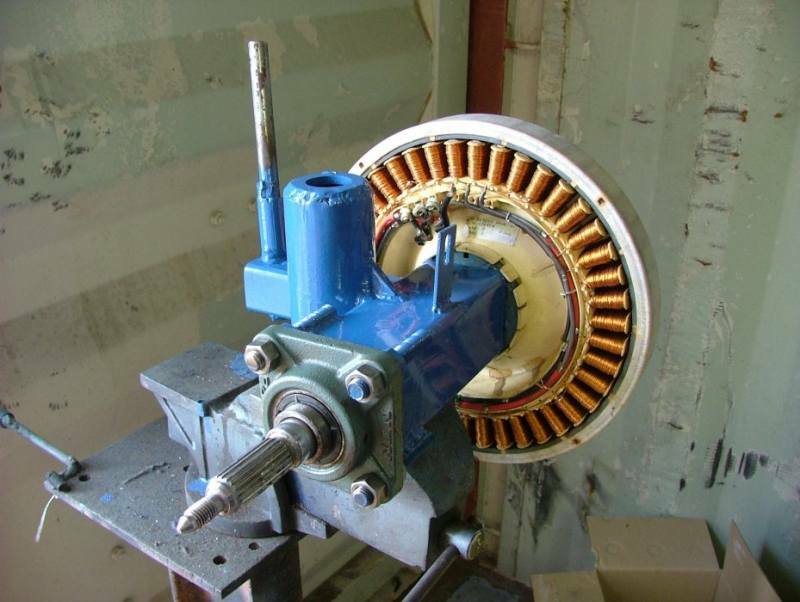 This was a little project to convert a small induction motor to a permanent magnet windmill. 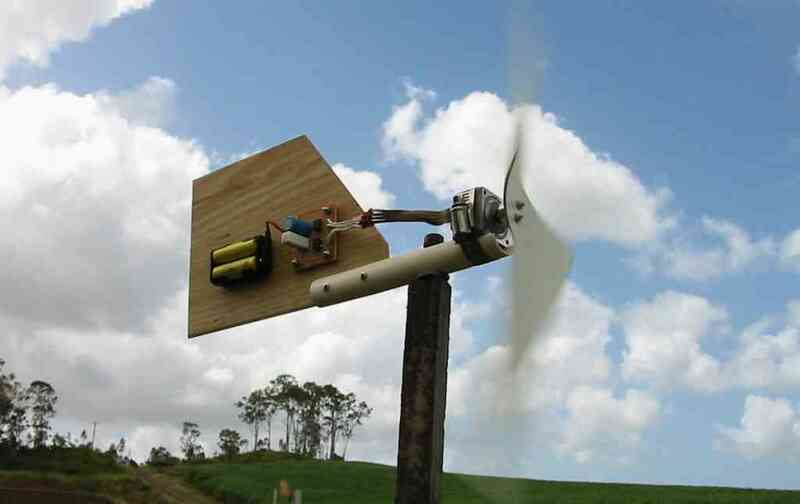 Based on a 300watt 24v DC motor, this little windmill would work well if I could boost the output voltage. 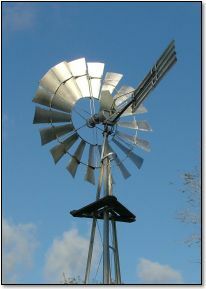 A windmill built around a 3 phase servo motor from an old welding robot. 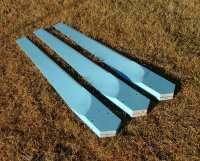 Some information on windmill blades, materials and options. 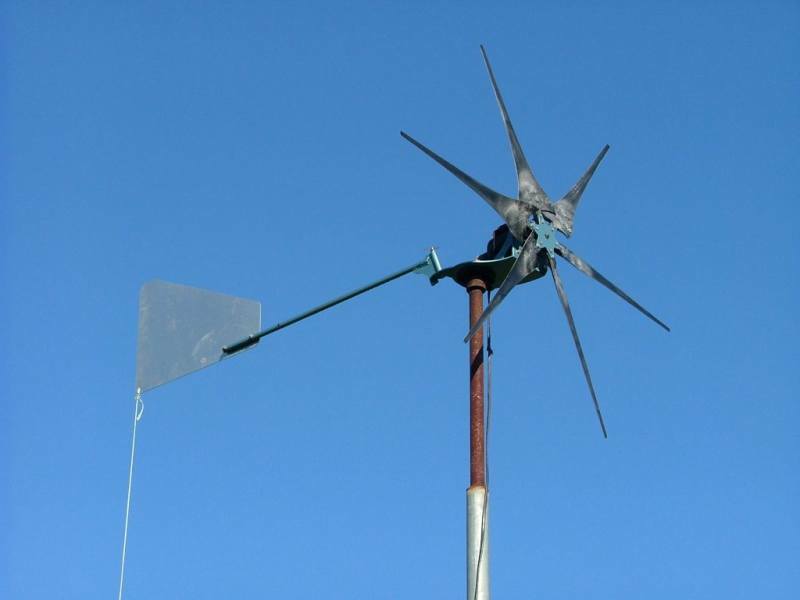 Improving those cheap Chinese Windmills. The cheap import Chinese windmills are popping up everywhere, and you can buy the blades separately. But they are very noisy. 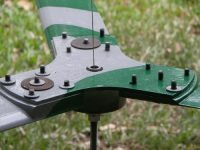 There are two parts to this article, firstly how I modified the blades to give more power and make less noise, and secondly, how a forum member, Kevin, modified the windmills to improve tracking and reliability. 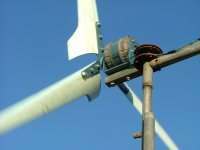 A very accurate way of balancing your windmill turbine. 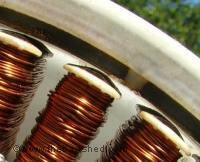 Balancing is important to avoid tower wobble, bearing wear and blade failures in high winds. 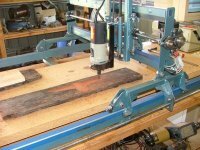 The method described here was contributed by a couple of forum members, Gill and Klaus. 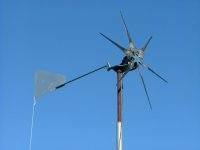 Furling is used to protect the windmill in high winds, but how does the furling system on small windmills work, and some calculations to work out the furling speed, tail lengths, etc. How to identify the different F&P types. 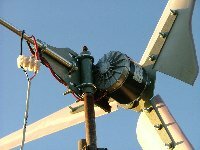 Cogging can affect the low wind performance of a iron core alternator based windmill, like the F&P. So what is cogging and how can we fix it. 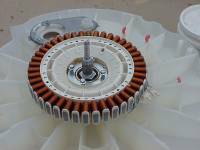 How to reconfigure the F&P stator for charging 12v batteries. 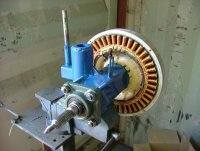 Using a magnet hub from a late model F&P washing machine, and a old stator, its now possible to make a cogless 7 phase alternator. This is the future of conversions and will replace the old 3 phase rewire above. What are they and how do you get started. A little PICAXE project. Reliably controls my water pump for the header tank. A work in progress. Based on a PICAXE chip and features menu driven setup and serial output. Yet another PicAxe project. This unit logs windmill data, and works as a simple shunt regulator. Gill has put together a clever anemometer ( wind speed ) logger using a PicAxe chip and EEPROM's for data storage. 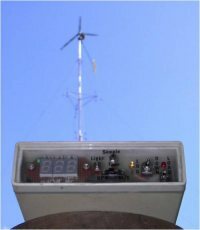 The logger has low power consumption and can record weeks of data ( depending on the sample rate ). 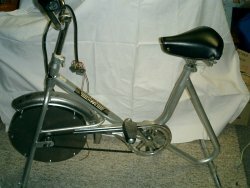 Building your own pedal powered generator. 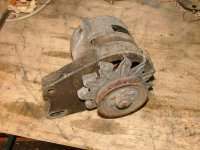 How to use a rectifier out of a car alternator. 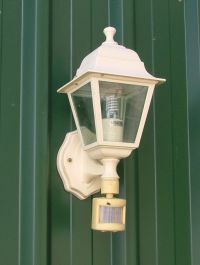 Converting a mains powered sensor light to 12v operation. 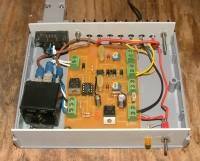 How to make a volt and amp meter for your battery bank. Now this was an interesting project.